Evacuation Restore Kit - 6 oz. Restore & Dispenser Evacuation Restore & Maintain Kit - 6 oz. Restore., 14 oz. 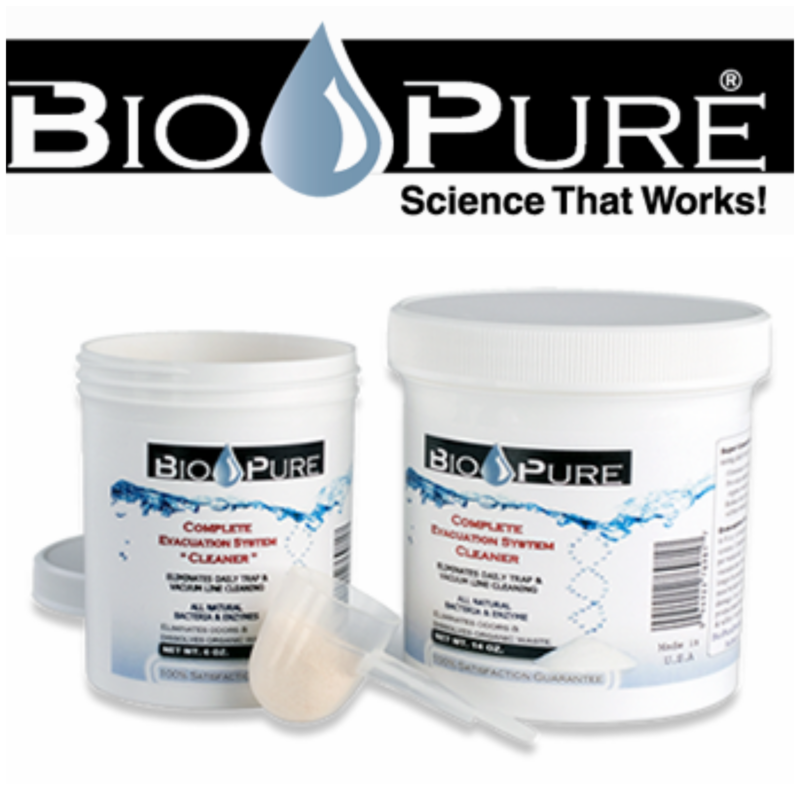 Cleaner & Dispenser Product Description: Bio-Pure is the only product scientifically proven and GUARANTEED to "RESTORE" vacuum suction to full pump capacity & eliminate daily trap cleaning! That's why Bio-Pure is an OEM specified part for 12+ equipment manufacturers & recommended by 100's of service techs across the country.